Creating a beautiful business video takes talent, time, and resources. Whether you’re producing your video in-house or with an outside team, the process can be expensive and time-consuming. The biggest problem is that after all the blood, sweat, and tears to produce a phenomenal final product, a big piece of the puzzle is often overlooked...the promotion strategy. Perhaps, you’ve gotten really great at promoting your blog content – but marketing video content is a whole new beast. But we know video content resonates incredibly well with audiences. Just including a video on your landing page can increase conversions by 80%! So, the time is worth it, but you need to take the time to drive people to find, play and watch your video. Below I’ve outlined 9 video marketing tips to get your video views way up so you know the effort of producing a beautiful product was not wasted. The greatest way to ensure people play your video is by using an image of a smiling human making direct eye-contact. Why? People relate to other people. Would you rather open a book with a bunch of boring text on the cover or one with an image of Prince William smiling at the camera? The latter is more compelling, and the same theory applies to video thumbnails. "Smiling is the outward manifestation of happiness and serves to begin to connect us to others," says Dr. Adrian Furnham, and organizational and applied psychologist. WordStream uses the Wistia video player to host most of its marketing videos. One cool thing about the new Wistia player is that you can add share buttons directly within the video itself so that interested parties can share out a link to the video (which directs back to your website) without having to leave the player. I realize that just asking people to share your video might seem obvious, but I can (almost) guarantee that if you put yourself out there, your friends will share your content and help you spread the word. So ask your friends, colleagues, former colleagues, industry connections, brothers-in-law, nephews and nieces. Of course asking the contacts who are likely closely connected to your target market is the strategic place to start, but you never know who is connected to who, and a share can go a long way so don’t limit the people you ask. Video and email are a match made in marketing heaven. Just adding the word “video” in an email subject line boosts open rates by 19%, click-through rates by 65% and reduces unsubscribers by 26%, according to Animoto. Adding a video thumbnail into your email also boosts the engagement of that email. At Wistia we found a 300% lift in CTR when using a video thumbnail over a plain image. A lot of the tips so far have been wallet-friendly, but now it’s time to scrape out the quarters from the bottom of your backpack and put some cash behind your video marketing strategy. It actually won’t cost you an arm and a leg to promote your video on platforms like Facebook and Twitter, and if you pay attention to the audience and campaign settings you could run a very successful promotional campaign and drive the right people to your content, yielding a delightful ROI. Check out this guide to launch your first Facebook video ad campaign. 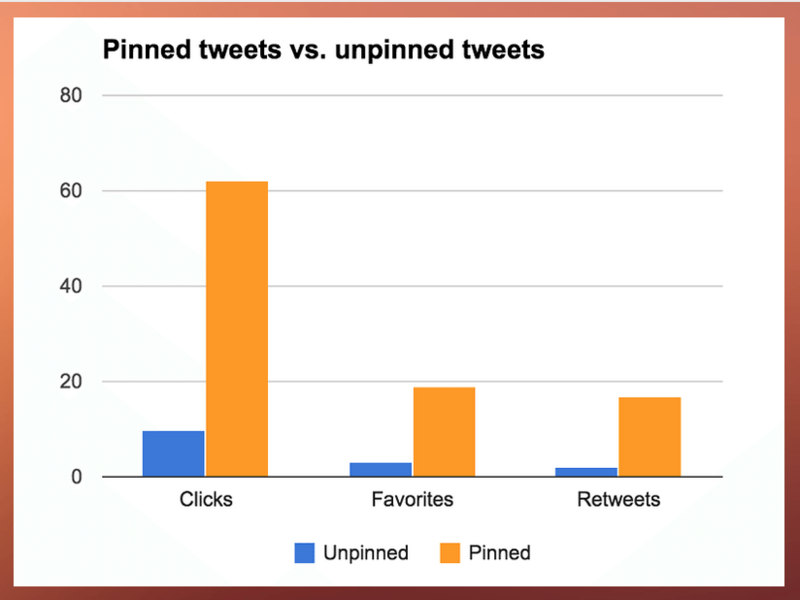 Buffer found that pinning a Twitter card led to a 10X increase in conversions! This is a free and easy way to drive more video views, so pin it, and watch the plays flood in. Whether it be a Twitter chat, LinkedIn group, Reddit, or a popular online community created in your industry, you should be actively engaging in these realms and spreading your video content when relevant. Let’s say you work for an inbound marketing agency and are participating in a conversation where several people seem to be struggling with their inbound efforts. Share your explainer video to answer their questions and show how you can help them in a truly engaging manner.